Truck Insurance Shreveport – Great Rates and Even Better Service! At Jeff Davis Insurance, we are confident that we can provide you with competitive rates on the Shreveport Commercial Truck Insurance you need. That’s not all we offer, though. The agents and staff of Jeff Davis Insurance strive to provide our clients and prospective clients with excellent customer service. See for yourself! Give us a call today, toll-free, at 337-824-4455 and speak to a friendly agent over the phone. Whether you would like to start a free quote or simply want to ask a few questions about insurance, our agents are here to help. In the previous entry into our ongoing coverage scenario about commercial auto insurance, Clarence and Nick were relieved to learn that the damage sustained in Clarence’s terrible tow truck accident involving a deer is covered by Nick’s towing company’s commercial auto insurance policy. They had been biting their nails in anticipation of the insurance company’s decision because the damage to the tow truck was massive. 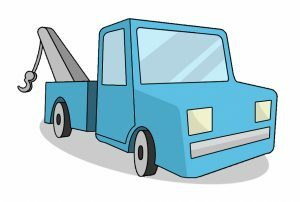 If the accident hadn’t been covered by the commercial auto insurance policy, Nick would have had to pay for the auto repairs out of his own pocket, or, if the repairs were too expensive, replace the truck altogether out of his own pocket. His only other alternative would have been to cut his losses and not replace the truck, however, that would likely have meant that Clarence would have to be laid off indefinitely. Fortunately for everyone at TJ’s Titanic Towing, these outcomes were avoided. Last time, we promised we’d look at the specific policy language that provided coverage for Clarence’s collision with the deer. First, we must explain that the type of policy Nick chose is called a “Specified Causes of Loss” policy. As the name suggests, this type of policy provides coverage only for a list of specific causes of damage. Notice that number 7 specifies “Collision with a bird or animal” as a covered cause of loss? That’s the line that saved Clarence. In future articles, we will return to Nick’s old buddy Rick and take a look at the insurance outcome for Rick’s employee Buford’s tow truck accident. Commercial Truck Insurance Shreveport – Drop Us a Line Today! This entry was posted in Louisiana Commercial Auto Insurance and tagged Berwick La Commercial Auto Insurance, Commercial Auto Insurance Grambling La, Commercial Truck Insurance Shreveport, Jeff Davis Insurance, Louisiana Truck Insurance, Mansfield La Truck Insurance, Shreveport Commercial Truck Insurance, Shreveport Truck Insurance, Truck Insurance Shreveport, Trucking Insurance Winnsboro La. Bookmark the permalink.